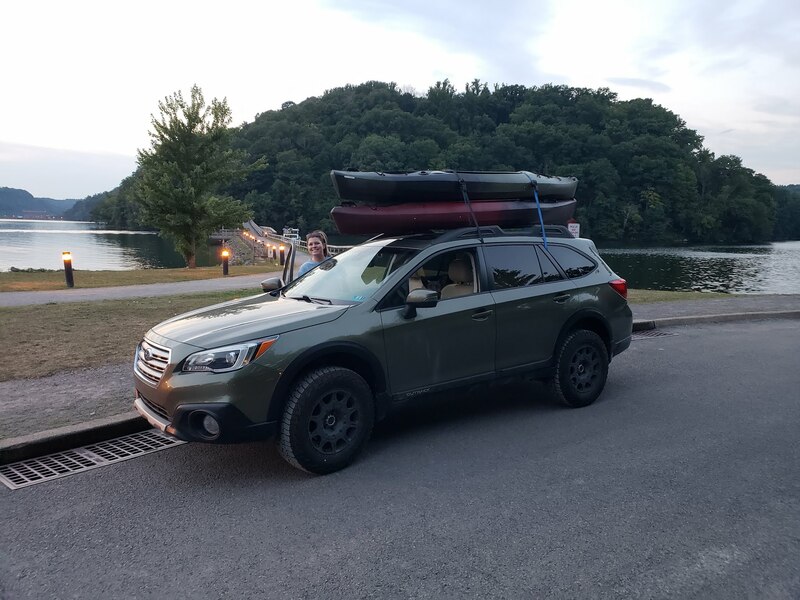 Just wanted to share some pictures and say "Thank you" to Don @Discount Tire for his help in selecting TSW wheels and tires for my 2016 Outback Premium. Don answered all my questions and made the process so easy! Shipping was super fast too. I'll chime in here too, Don was great to work with and continued to help post-sale by helping my local shop get the right instructions to getting the TPMS up and working in my car. I'm happy with both my dealings with Don at Discount Tire Direct and my local shop, who never hesitated to try and help when they saw me pull in. I'm also happy with my purchase. He helped me get the best deal I could find and beat Amazon's pricing for me. Plus he even helped with some questions after the sale. Thumbs up. Those Old Town kayaks? We've got a tandem from them and really like it. Thank you all for your kind words. Glad to hear we were able to be of assistance. We all work hard every day to earn your business.